Posted 7:55 am by Rena Anya Devéza & filed under Alexander Technique, Alexander Technique Teacher Training. Lulie Westfeldt is in my thoughts these days. A funny thing is happening when my trainer guides me in and out of the chair. By the way, I have to use the shortest chair of the three heights of chairs we have in Alexander Technique teacher training. When I sit down, often my heels do not touch the ground. 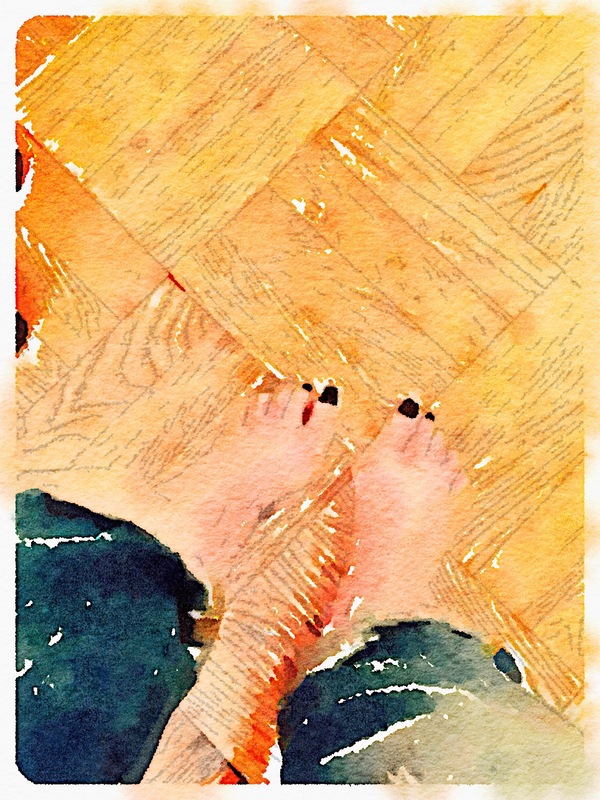 It is harder to get up from the chair without pulling down when my heels are not touching the floor. But he wants me to continue to do this. He thinks that as I continue to inhibit and direct, and undo in this position, I will make further progress as my muscles stretch. Perhaps our reading of Lulie Westfeldt’s book has prompted him to work with me in this fashion. Remember…Lulie, who had suffered from polio as a child, and who was on FM Alexander’s first training course, found that with lessons from FM, her heel finally rested on the ground and her calf muscles developed just from FM’s working on her primary control. As my heel story is going on, sometimes my left heel reaches the floor but my right one does not (my pattern), and sometimes it is vice versa, but sometimes both my heels do hit the floor and then I realize that I am feeling big stretches in my calf muscles. And this is happening more and more frequently! I find that my legs are very sore indeed these days. I don’t care at all. My trainer tells me that he is finding that subtle shifts are going on in me and my balance. So I’ll take it. My primary control is getting more secure. One night after class I was so sore that I wanted to soak in a hot bubble bath. But I was too tired…I didn’t want to fall asleep in there!